We are selective in the cases we accept. By limiting the number of clients we serve, we are able to give each client the focused, personal attention of a senior attorney. We like getting to know our clients as people. Having a senior attorney in your corner dramatically improves the likelihood of a favorable outcome. Our intensive knowledge of the history, tactics, and culture of the insurance industry and its major players is something that we have worked hard to obtain over many years. We not only know insurance law, but we have also helped create insurance law helpful to consumers and holding insurance companies accountable. If we agree to take your case, we are making a commitment to invest the time, labor, and resources necessary to get your claim paid. The Atlanta disability law firm of Robinson & Warncke is the number one choice when you are fighting a large insurance company. The sooner you call us, the better. As soon as you realize that your disability has made it impossible to keep working, you should call us for advice on how to make your application for benefits successful. If your insurance company has denied your claim, call us immediately for a free telephone interview to learn how we can help the deadlines for taking action on a denial are much shorter than people realize. If you've already been denied, have us examine your file for completeness, represent you in your administrative appeal, or, if necessary, file a lawsuit on your behalf. Mr. Robinson has been rated "AV Preeminent" by his peers as published in Martindale.com and Lawyers.com. He graduated with honors from the University of Georgia School of Law in 1991, where he was accepted onto the editorial board of the Georgia Journal of International and Comparative Law. 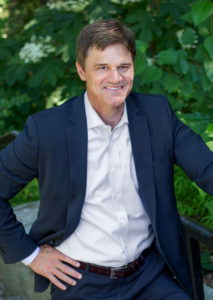 Mr. Robinson obtained his bachelor degree in economics from Clemson University in 1988, also with honors, where he was a member of the Calhoun College honor society and was an Edgar A. Brown merit scholar. Mr.Robinson has over 22 years of litigation and trial experience, including litigation in all federal districts in Georgia and in other states. He has tried numerous cases in state and federal courts and has successfully argued multiple appellate decisions. In 2004, Mr. Robinson began dedicating a greater portion of his law practice to representing policyholders and employees in their pursuit of benefit claims against insurance carriers under disability, life and accidental death and dismemberment policies and employee benefit plans. Since that time, he has developed a detailed understanding of the federal ERISA statutes, regulations and procedures that apply to these claims. Mr. Robinson has spoken to other lawyers in continuing legal education seminars regarding disability insurance law and tactics for successfully prosecuting these claims. His diverse jury trial experience continues to assist him in representing policyholders in claims under private disability and life insurance claims that allow for jury trials and recovery of bad faith damages in addition to benefits. In addition to insurance benefit litigation, Mr. Robinson continues to handle a select number of cases involving individuals who have been seriously injured or disabled due to the negligence or reckless acts of others, wrongful death cases, fraud and breach of contract litigation. Mr. Robinson is a member of the State Bar of Georgia (the co-chairman of the Employee Benefits Section), the Atlanta Bar Association, and the Georgia Trial Lawyers' Association. He is admitted to practice in all state and federal courts located in Georgia, including the United States Court of Appeals for the 11th Circuit.